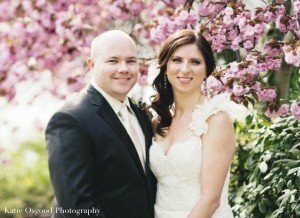 Rachelle and Brian hail from Iowa and met through a mutual friend in Manhattan. 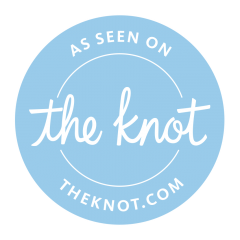 After 5 years of dating, Brian surprised Rachelle with an engagement proposal during a weekend getaway. 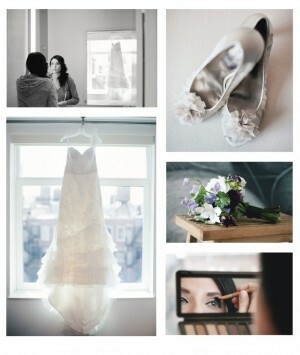 Shortly after, wedding planning was in full swing. 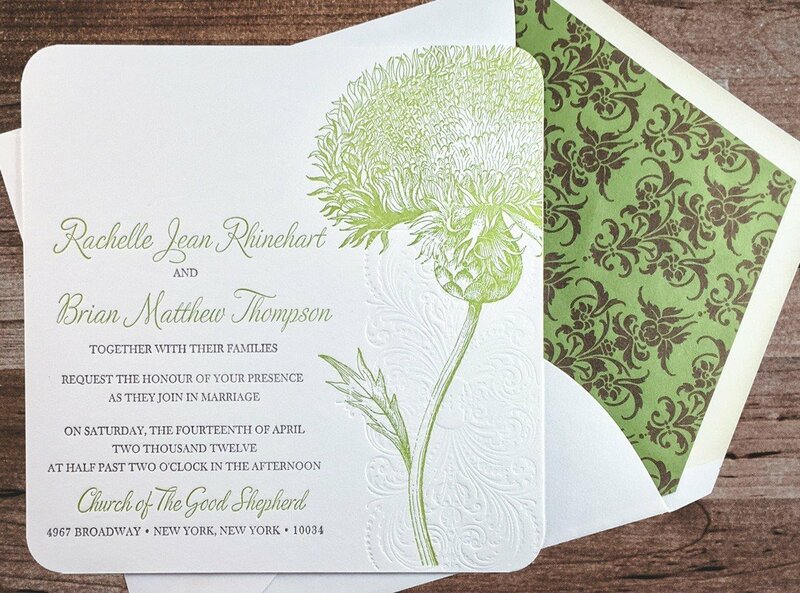 Rachelle works for one of the largest trend forecasting agencies in the world and she had a wonderful vision for what the wedding would look like. 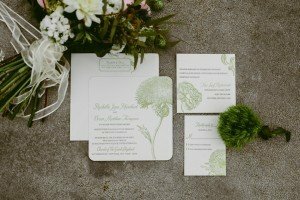 We designed a custom letterpress invitation suite just for them- encompassing a spring theme with a hint of romance and a touch of rustic character. 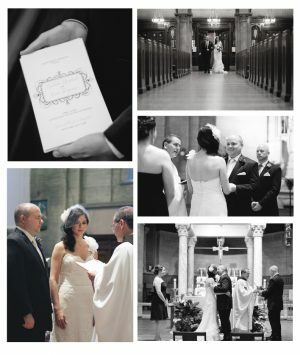 The ceremony took place at the magnificent Church of the Good Shepherd. Rachelle wowed onlookers in a stunning one-shouldered gown by Lazaro, as Brian looked dapper in his suit awaiting her walk down the aisle. After the ceremony guests cheered the couple by waving colorful ribbon batons that were made by the bride and friends. 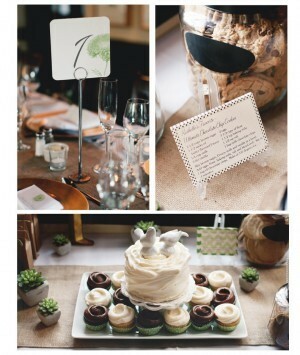 The reception was held at the rustic New Leaf Restaurant, nestled in a floriferous Fort Tryon Park. Guests were greeted by a refreshing Basil Mojito (featuring the most adorable swizzle sticks, another handmade detail by the bride) and scrumptious hors d oeuvres. 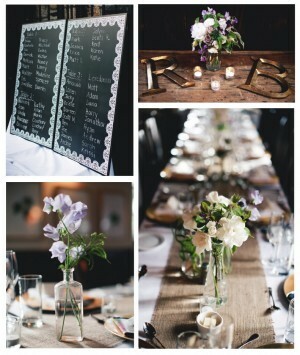 Dinner was served inside a carriage house on long tables decked in candles, mason jars and wildflower bouquets. As the night was winding down guests were treated to cookies (all made from family recipes) chocolate candy, and of course a cake and cupcakes from Magnolia Bakery. 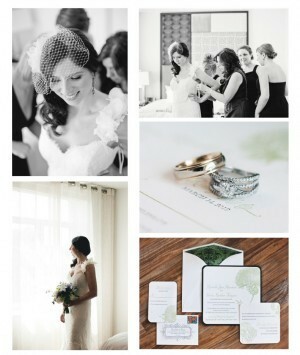 Check out these great pictures by Katie Osgood for a look at all the beautiful details.